"Since 2011, Italy have won just nine (26%) of 35 friendly internationals and just 9/32 (28%) non-competitive home matches, and so with Mancini expected to utilise this competition for experimentation purposes, there’s plenty of reason to believe Poland could pinch a positive result." Italy make their first competitive outing since their ill-fated World Cup qualifying campaign when Poland pitch up at the Stadio Dall'Ara in Bologna. Azzurri head coach Roberto Mancini has opted for a blend of youth and experience as the nation bid to bounce back from one of their lowest ever points. Giorgio Chiellini has been handed the captain's arm band but it's all change elsewhere with Mancini bemoaning the dearth of Italian players in Serie A as he focuses on trying to get the La Nazionale back to the top of international football. No less than 19 of his original 31-man squad have won 10 caps or fewer. Nicolo Zaniolo, who joined Roma from Inter Milan this summer but has yet to make an appearance in Serie A, has made the cut, as have uncapped Alessio Cragno, Manuel Lazzari and Cristiano Biraghi. Meanwhile, Mario Balotelli is in line for his first competitive action for Italy since the 2014 World Cup. Poland endured a disastrous World Cup. The White Eagles were the first side to officially be eliminated from the tournament after losing their first two fixtures against Senegal and Colombia. Skipper Robert Lewandowski - the top European goalscorer in qualification - failed to fire, going home from Russia goalless. Head coach Adam Nawalka was severely criticised back home, although the absence of key centre-half Kamil Glik certainly didn't help Poland's challenge. Nevertheless, the PZPN opted not to extend Nawalka's contract and former captain Jerzy Brzeczek has been trusted to take charge of first-team affairs. Brzeczek's first White & Reds squad includes eight players currently plying their trade in Serie A - Wojciech Szczesny, Lukasz Skorupski, Bartosz Bereszynski, Arkadiusz Reca, Karol Linetty, Piotr Zielinski, Arkadiusz Milik and Krzysztof Piatek. Lukasz Piszczek has retired from national duty, while Michał Pazdan and Kamil Grosicki were overlooked. Italy have been chalked up as [1.81] favourites to kick-off their Nations League campaign with a home success. The Azzurri have lost just twice in 61 competitive matches excluding major tournaments dating back to 2006, but both defeats arrived during their doomed 2018 World Cup qualification campaign. 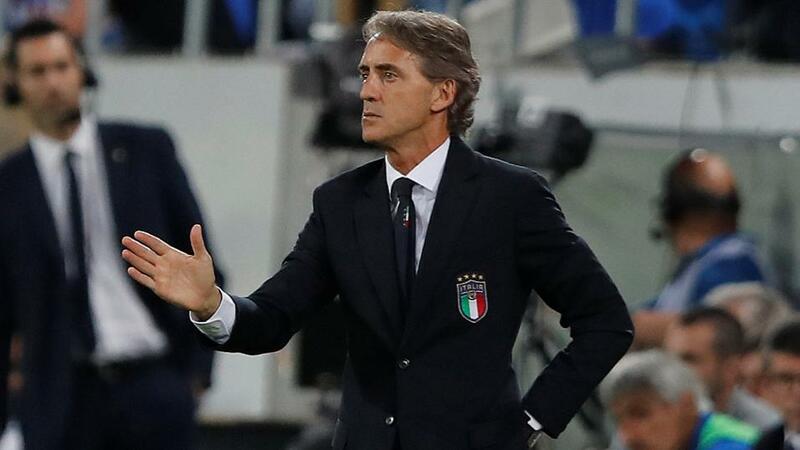 With Roberto Mancini revamping La Nazionale, bringing in an influx of inexperienced personnel, as well as trialling a new 4-3-3 formation here, the hosts make little appeal at odds-on quotes. Since securing their berth at the World Cup, Poland [5.40] have won just three of their following nine outings - against Japan, South Korea and Lithuania with the latter two triumphs achieved in friendly encounters. Nevertheless, the White Eagles squad remains strong so an upset isn't out of the question. Since 2011, Italy have won just nine (26%) of 35 friendly internationals and just 9/32 (28%) non-competitive home matches, and so with Mancini expected to utilise this competition for experimentation purposes, there's plenty of reason to believe Poland could pinch a positive result. Italy have recorded 10/32 (31%) shutouts in their home friendly games over the past eight years and with the Azzurri a work in progress, plus Poland being renowned for their attacking firepower, a watchable encounter could ensue. Half of the hosts' eight World Cup qualifiers crossed the Over 2.5 Goals [2.40] whitewash, while the White Eagles followed suit in all bar one of their past 13 meaningful matches, suggesting a high-scoring contest is currently undervalued by the pre-match market.